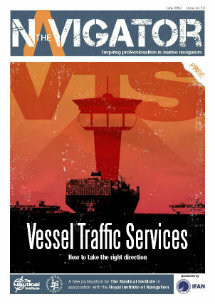 During maneuvering, the a vessel experienced a burst starting air pipe. This resulted in non-availability of the slow speed large bore main engine which caused the subsequent grounding of the Vessel. All affected starting air pipes were renewed (4 off on an 8 cyl. engine). The grounding was of a minor nature, resulting in no marine pollution or loss of life, but the consequences could have had been very severe. The cause of the casualty was most probably corrosion inside the starting air pipes (see photo above). Such corrosion results from combustion gases passing from the cylinders through defective/leaking starting air valves. It was reported that the starting air pipe valve for no. 1 cylinder was leaking during maneuvering, causing the starting air pipe connection to the no. 1 cylinder to burst. As a result the main starting air had to be shut off in order to prevent draining off of the air supply from the starting air receiver. This resulted in loss of propulsion as the engine could not be re-started during maneuvering. On inspection it was noted that starting air pipes had been temporarily repaired at the elbows on at least 4 different cylinders as shown on the photo below. Starting air pipes are not only exposed to the same air pressure as the air bottle, i.e. approx. 25–30 bar, but also the higher combustion pressure built up in the event of leaking starting air valves. 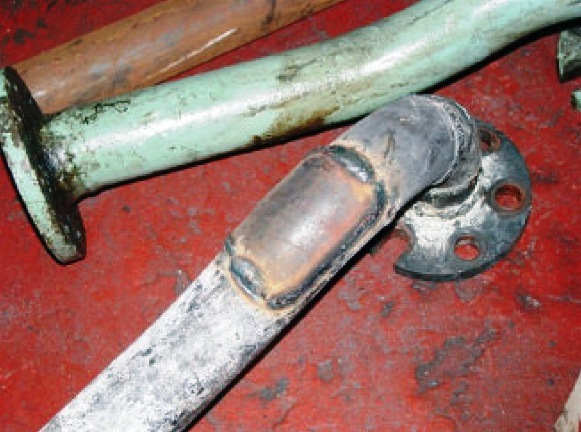 Failure of starting air pipes may seriously affect the safety of ship and personnel. Starting air pipes are subject to periodical class surveys.